Here's an interesting event. 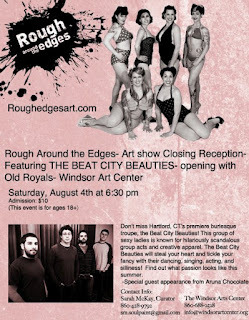 Rough Around The Edges is a multimedia art show in Windsor, and its closing event features a performance by Old Royals and some fancy burlesque courtesy of the lovely Beat City Beauties! 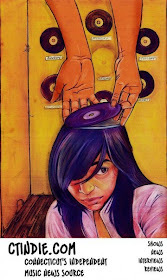 If you haven’t had a chance to see the artwork, now is your last chance! Those that appreciate art, self-expression, and the creative process will not want to miss this exciting, albeit rough around the edges, creative project. Find out what passion looks like this summer. Get off your computer, get out of the house, and join some of your fellow humans and explore the essence of humanity, anti-apathy, and sincerity. 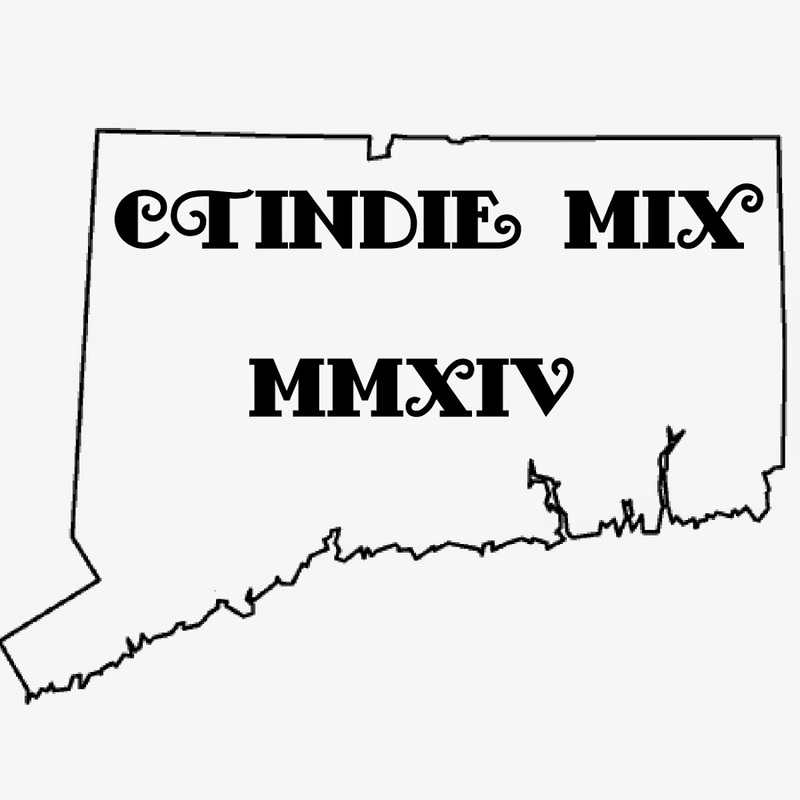 Come share in the excitement this talented group of eclectic artists generates through their work. Rough Around The Edges 2012 Closing Reception, featuring The Beat City Beauties (burlesque troupe) and Old Royals (folk rock) at the Windsor Art Center (just north of Hartford)! Drinks and appetizers will be served, including Aruna Chocolates. The event starts at 6:30 and admission is $10.